Practice: Based on IR data given determine the structure of the unknown. Unknown compound A has molecular formula C4H11N. It shows a peak at 2900 cm-1 and peaks in the fingerprint region. Practice: Based on IR data given determine the structure of the unknown. Unknown compound B has molecular formula C4H11N. It shows a single peak at approximately 3400 cm-1 as well as peaks at 2900 cm-1 and in the fingerprint region. Compound B also possesses a branched alkyl group. Practice: Based on IR data given determine the structure of the unknown. Unknown compound C has molecular formula C6H10O3. It shows peaks at 2900, 1850 , 1740 cm-1 and in the fingerprint region. Practice: Match the following functional group choices with the supplied infrared spectra data. Write structural formulas for four compounds with the formula C 3H6O and classify each according to its functional group. 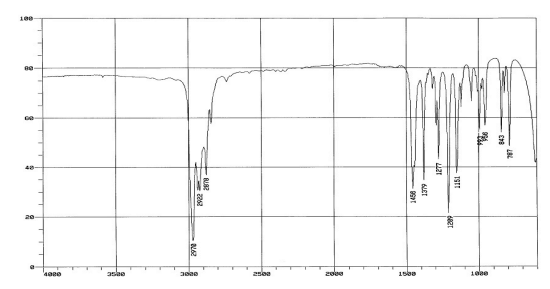 Predict IR absorption frequencies for the functional groups you have drawn. There are four amides with the formula C3H7NO. (a) Write their structures. ( b) One of these amides has a melting and a boiling point that are substantially lower than those of the other three. Which amide is this? Explain your answer. (c) Explain how these amides could be differentiated on the basis of their IR spectra. 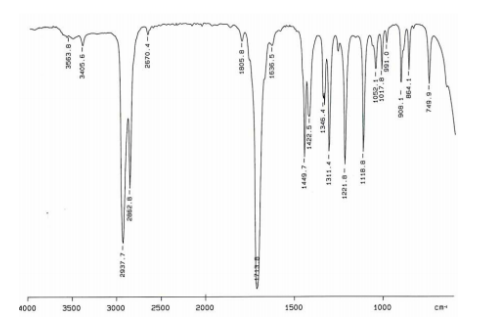 Write structures for all compounds with molecular formula C 4H6O that would not be expected to exhibit infrared absorption in the 3200–3550-cm -1 and 1620–1780-cm -1 regions. Circle the molecule within each given set that most likely produces the given Infrared (IR) spectrum. For the following reaction, which of the following is consistent with the IR spectrum of the product? A) Absorption at 2250 cm –1 should disappear and absorption around 3400 cm –1 should appear. B) Absorption at 2250 cm –1 should disappear. C) None of these. D) Absorption at 3200-3400 cm –1 and 1720cm –1 should appear E) Absorption at 2250 cm –1 should disappear, new absorption at 2600-2800 cm –1 and 1720 cm –1 should appear. Match each compound to the correct IR spectrum, and give a brief reason for your selection. PRACTICE: State how the following pairs of molecules can be differentiated using Infrared (IR) spectroscopy. 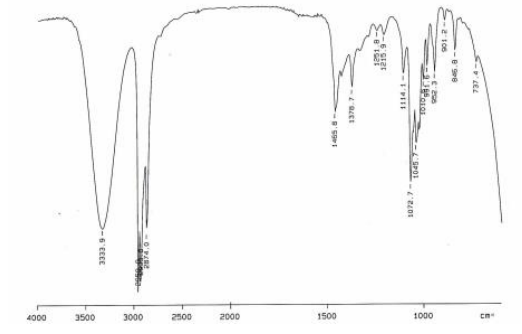 What changes occur in molecules after being irradiated with IR absorption?